The Exeter Township Wastewater plant recently completed an installation of a $6.5 million biosolids dryer facility. (Source: Dryer helps wastewater plant cut landfill costs by Erin Connor – September 15, 2011) The plant is located 60 miles northwest from Philadelphia. Some interesting points are made in the article. The dryer takes the sludge, dries it down and produces pellets. The dryer can process 12 to 13 tons of sludge in 4 hours. This usually accounts for two complete batches each day. 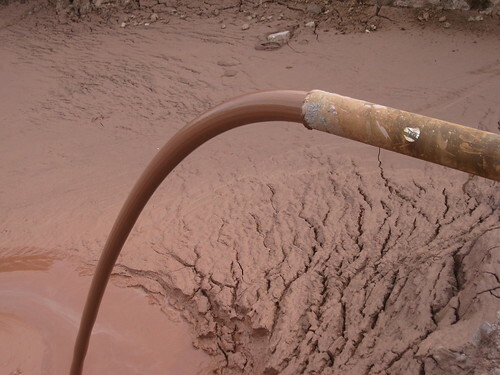 In 2010, 9.5 million pounds of wet sludge were taken to the landfill . This year, Exeter expects to take 1.9 million pounds to the landfill. The plant is working with the Pennsylvania Department of Environmental Protection to sell the dry biosolids as fertilizer or turf conditioner. The solids are high in nitrogen. Biosolids are regulated very thoroughly, especially in some parts of the country like Pennsylvania. Stories like this one do emphasize the fact that this technology has a long way to go, but once in place it can pay for itself in a short amount of time. I would invite you to read the entire article with which these facts and figures came from. We need to hear more stories like this one where townships, cities and municipalities are taking the responsiblity upon themselves to find more efficient waste processes that can save money and create a quality environment.